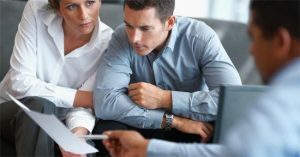 The key defining aspect of what the financial planner does is that he considers all questions, information and advice as it impacts and is impacted by the entire financial and life situation of the client. Now that you have a better understanding of what a financial planning is and how Impact Accounting Solutions can help, why not contact one of our Mudgeeraba financial planner and let us help you today! For more information about our acclaimed Financial Planning services in Mudgeeraba, contact the team at Impact Accounting today.